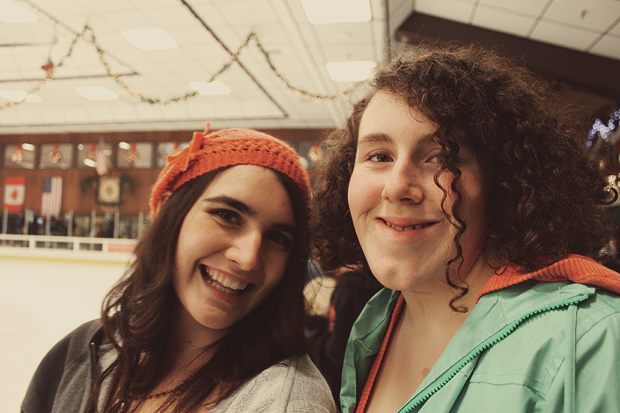 Amongst the new-found, unfortunate Worldly Matters that have appeared in my life after returning from D.C., I found comfort in having a fun day at the ice skating rink with my friends. 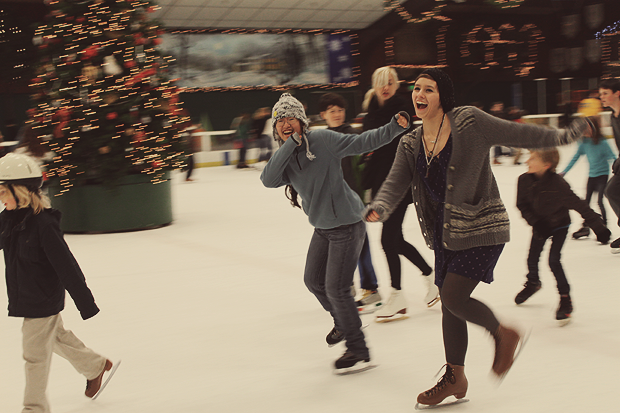 I forgot that I actually know how to skate, so it was a fun reunion with the ice. ;) My friends weren't exactly in the same boat! I helped them along though and in the end, everyone had a bunch of fun. Here are just a few of my favorite photos from today, mostly courtesy of Jessica (pretty gal in the orange hat), because she sat out some of the time due to pain from falling earlier. I'm glad to end my year with something fun like this, because as it turns out, I don't have plans for tomorrow due to these Worldly Matters. All is well, friends, because I'm maintaining a stable attitude and letting effect me what should effect me. 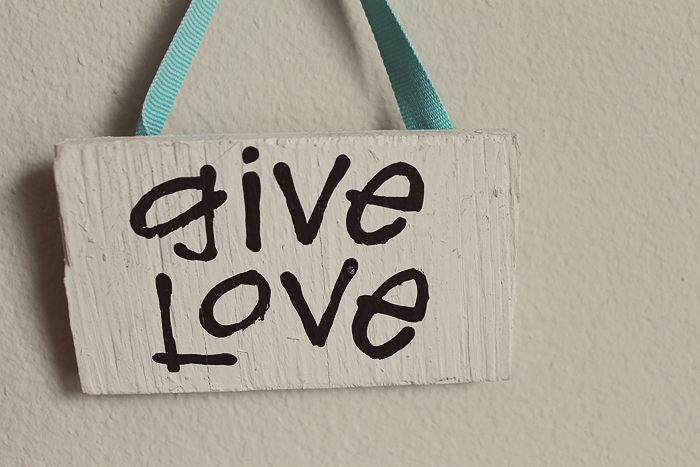 Tomorrow is a new day; the day after - a New Year. 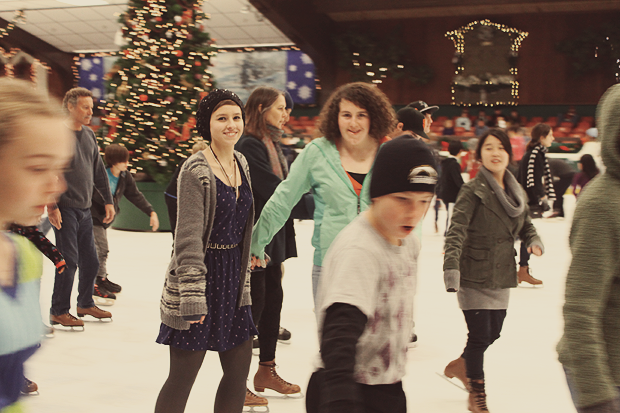 in one of the pictures a girl in the background is taking a nasty fall! ouch. ha. you look beautiful and looks like a wonderful time. 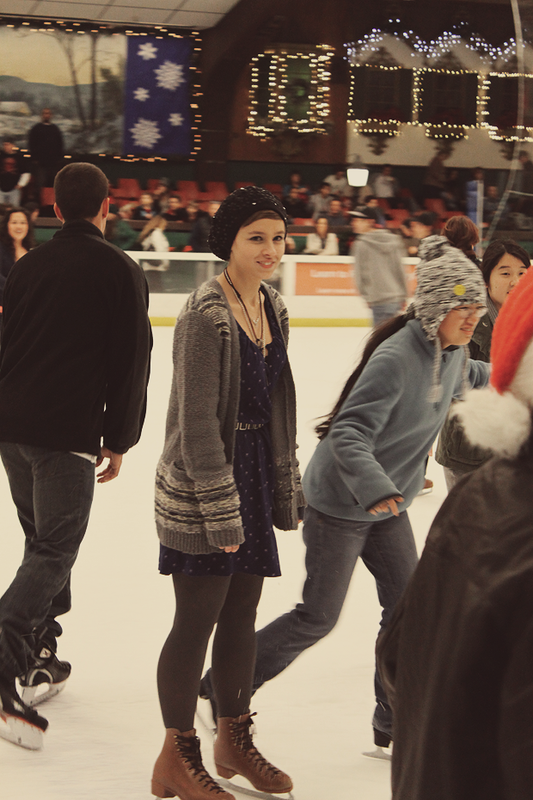 I really should go skating again. At least its like a bike and you never forget! I REALLY love those brown skates! I have lame hockey ones. Happy New Year! 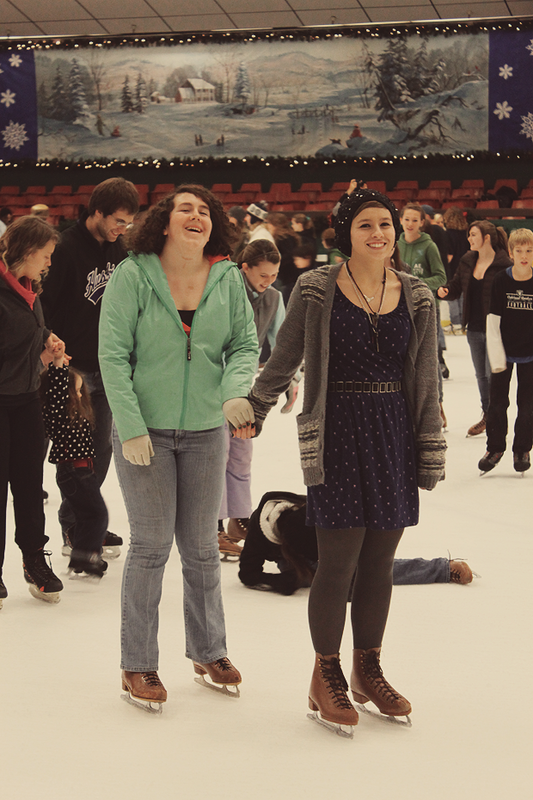 LOVE ice skating. I don't mean to brag, but I'm a totally pro at it (not really, I just really love it). 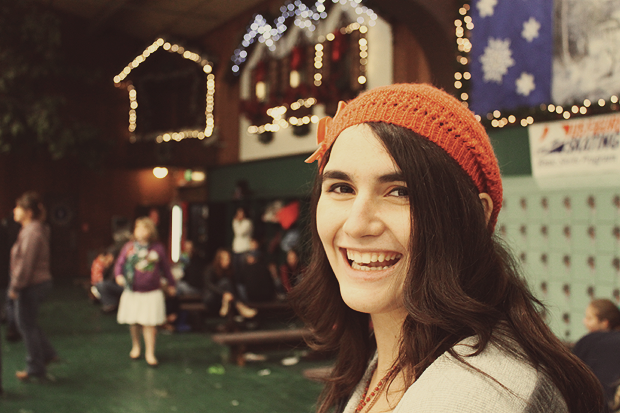 These photos are great, you are such a cutie! First things first :P what an adorable hat! :D hahaha no really! I mean... I was going to buy it for myself, but it looked weird on my head, which is a shame because I think it's adorable! 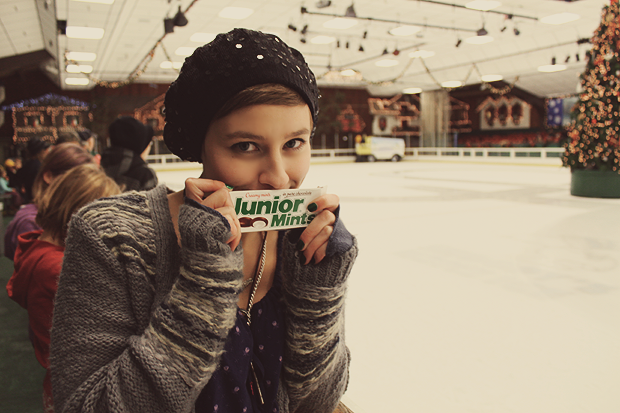 Oh, how I miss skating! 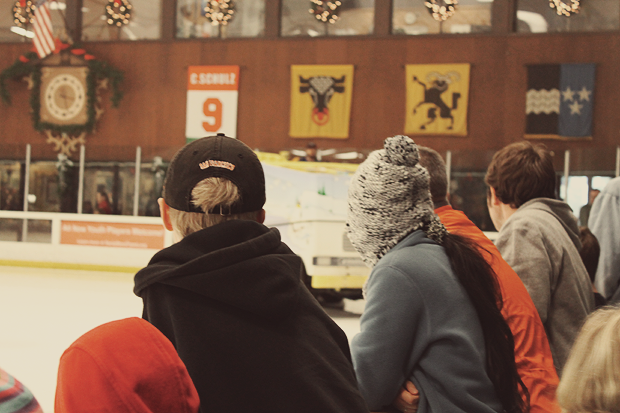 I wanted to go pro and then they closed the rink in my city and re-opened it years later /:! These photos look awesome! Happy New Year Elanor :)! Aww! 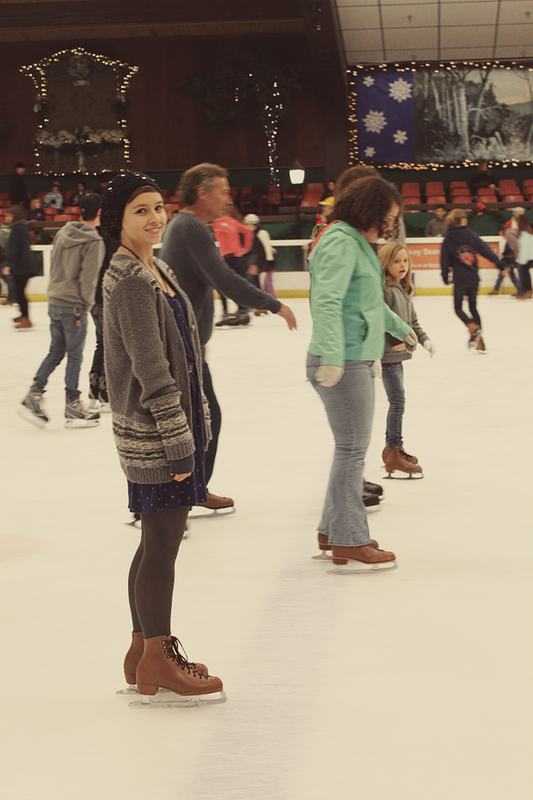 I love ice skating! 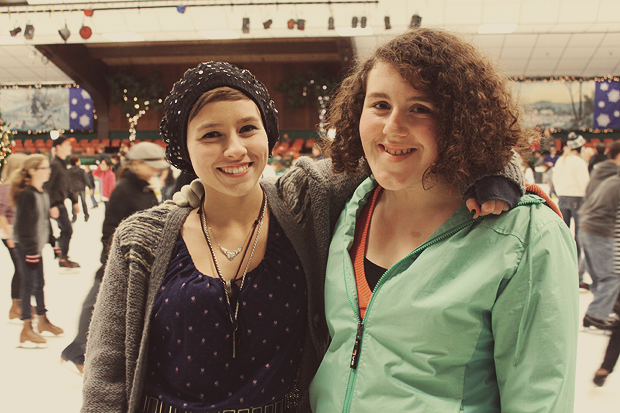 <3 And your outfit is so adorable. 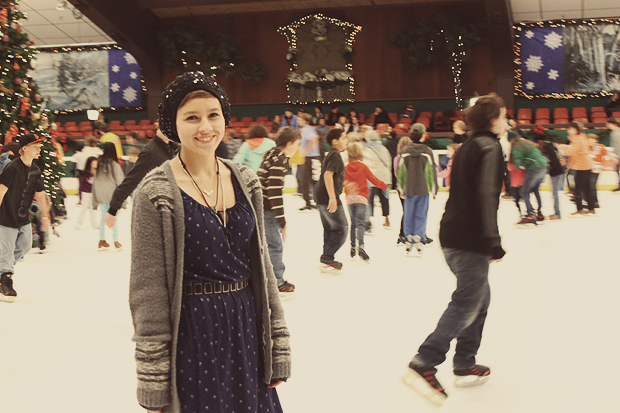 I love your dress especially, and the ice skates look so perfect with it. These are such lovely shots!! Looks like such amazing memories were made here. 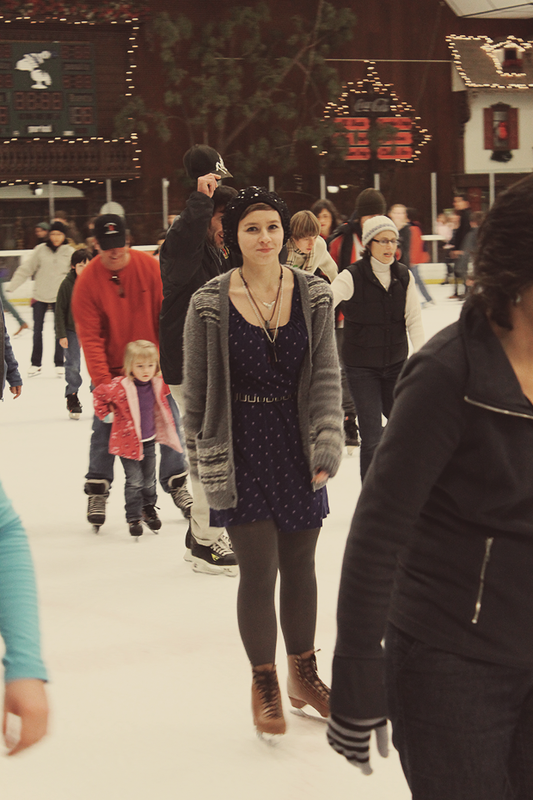 I haven't been ice skating in 12 years. goodness. Lovely lovely entry! Girl! 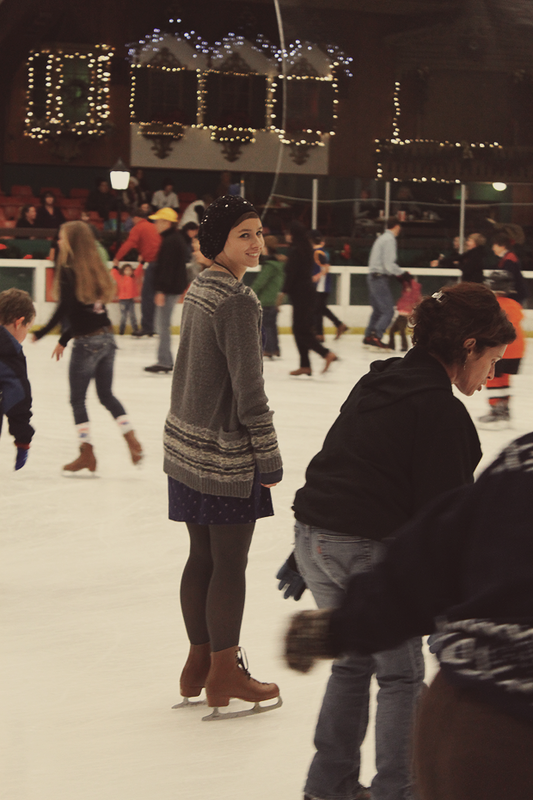 You're the cutest one in the ice rink in your polka dot dress and cozy sweater ;) You make me wanna go ice skating now! we had a great time skating at Uncle Howard's -- Hank, George and Sophie all learned to skate this winter and my girls were inspired to learn - Son and Sees were pretty cautious and careful but they made it around the rink with no major crashes -- Izzy and Meem didn't have a pair of skates but they want to try asap!